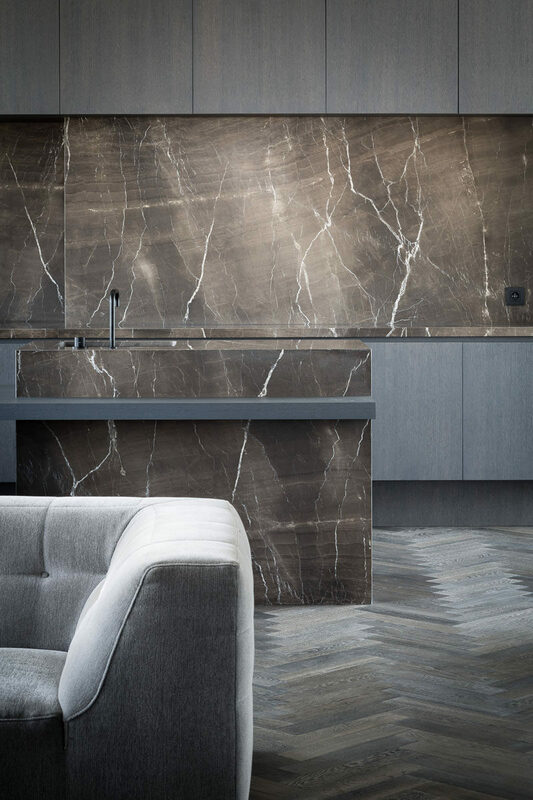 With marble being one of the most popular materials to decorate with at the moment, we thought we would share a few ways you can include the material in your home. 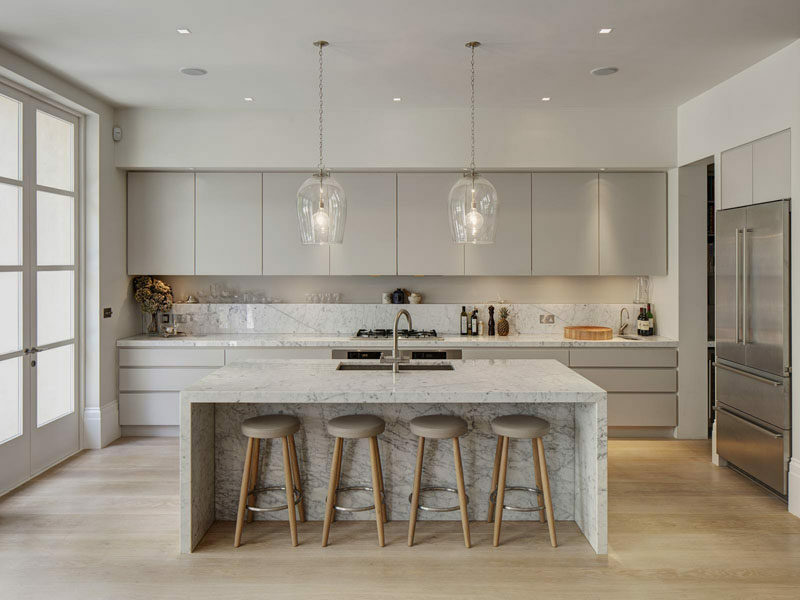 Light grey kitchen cabinets compliment the flecks in the marble and create a sophisticated feel in this bright and airy kitchen. 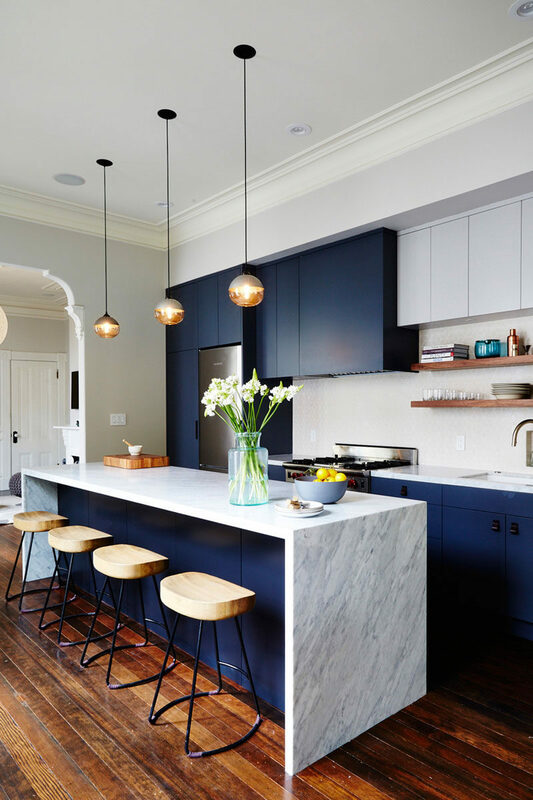 The dark blue cabinets make the dark flecks in the marble more prominent but also create a contrast with the light color of the marble and the light backsplash. 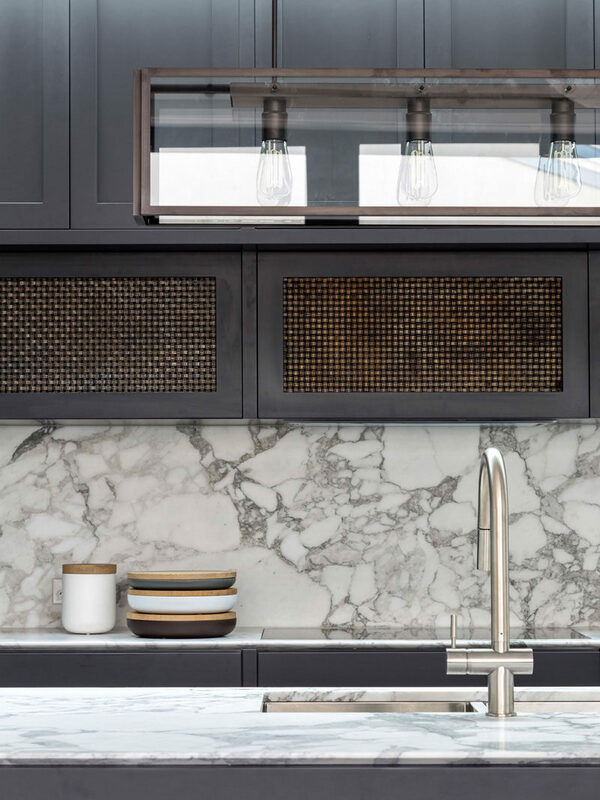 The dark marble island, countertops, and backsplash in this kitchen coupled with the dark floor and dark cabinetry create a sophisticated, timeless spot to prepare meals and entertain guests. Interior design by Arjaan de Feyter. Photography by Thomas de Bruyne. Stone from Graniet en Marmer. A partially marble island, marble countertops and backsplash along the back wall of this kitchen makes for a clean and modern design. Interior design by Arent & Pyke. Photography by Anson Smart. See more photos of this home, here. 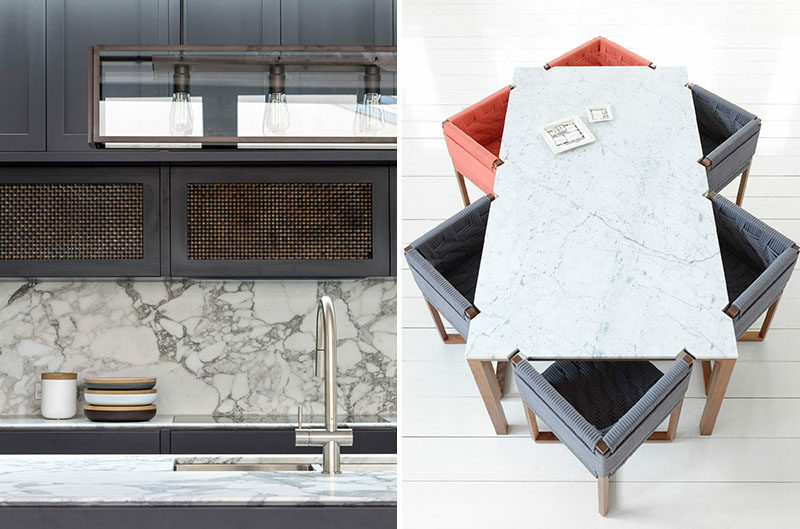 Designed by Luigi Rosselli Architects and Decus Interiors. Photography by Justin Alexander. A big long marble table provides an elegant place to gather around with friends and enjoy tasty food and engaging conversation. 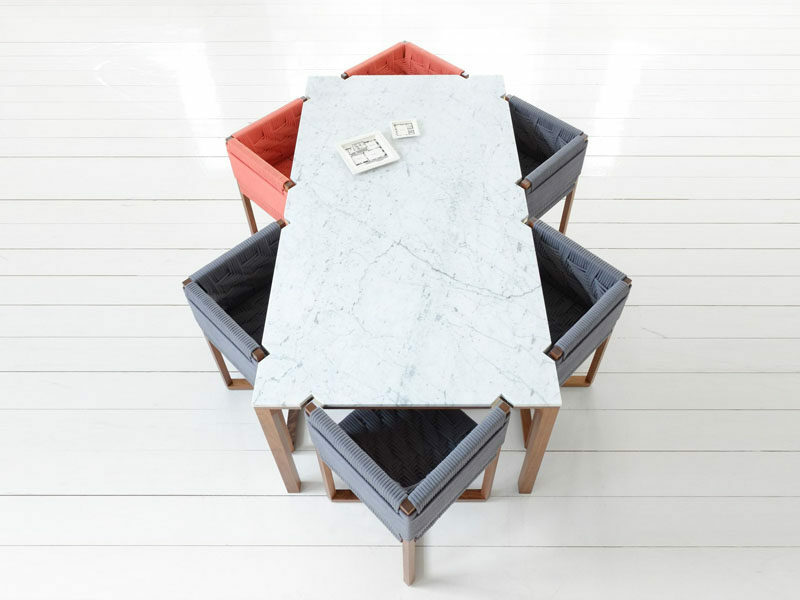 This marble dining table and the chairs that go with it encourage you get comfy as you sit down to the table to enjoy a big delicious brunch or a fun dinner party. 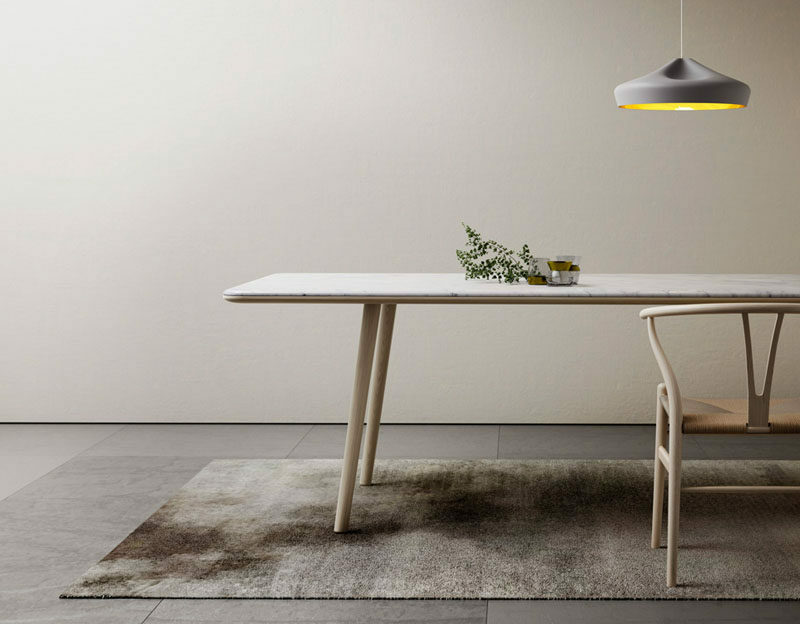 Marble dining table designed by Bureau de Change for Efasma. 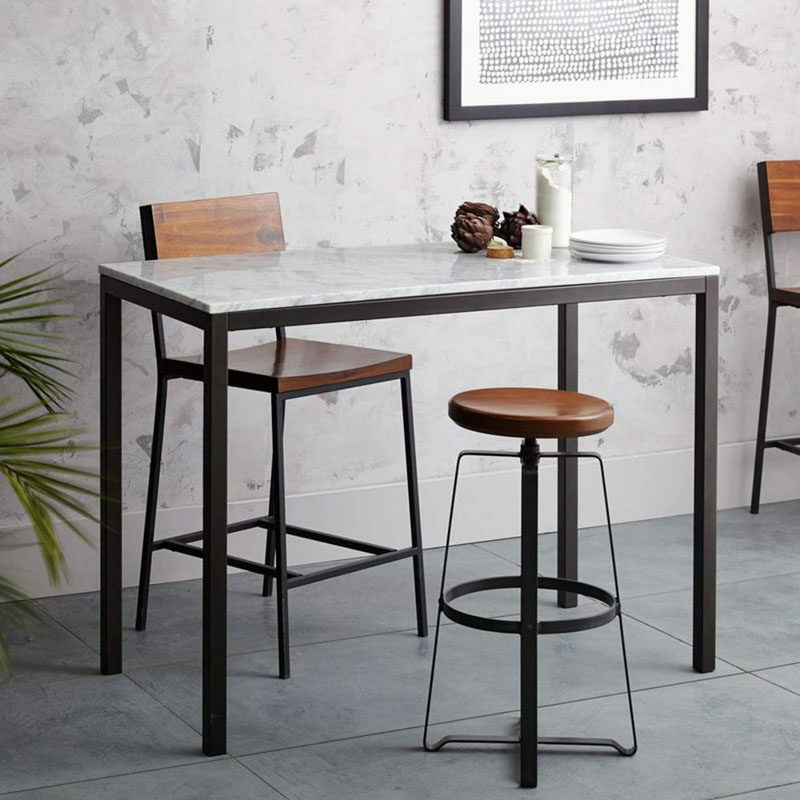 Even people with small kitchens can enjoy the luxury of eating off a marble table, like this tall skinny one. 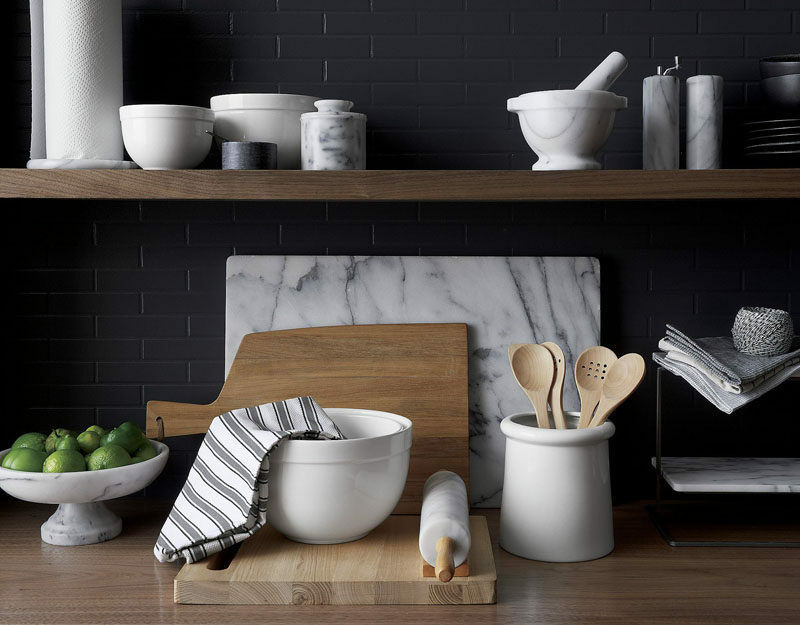 Mixing bowls, utensil holders, and cutting boards all come in marble and, when they’re used all together, make your kitchen feel put together and sophisticated. 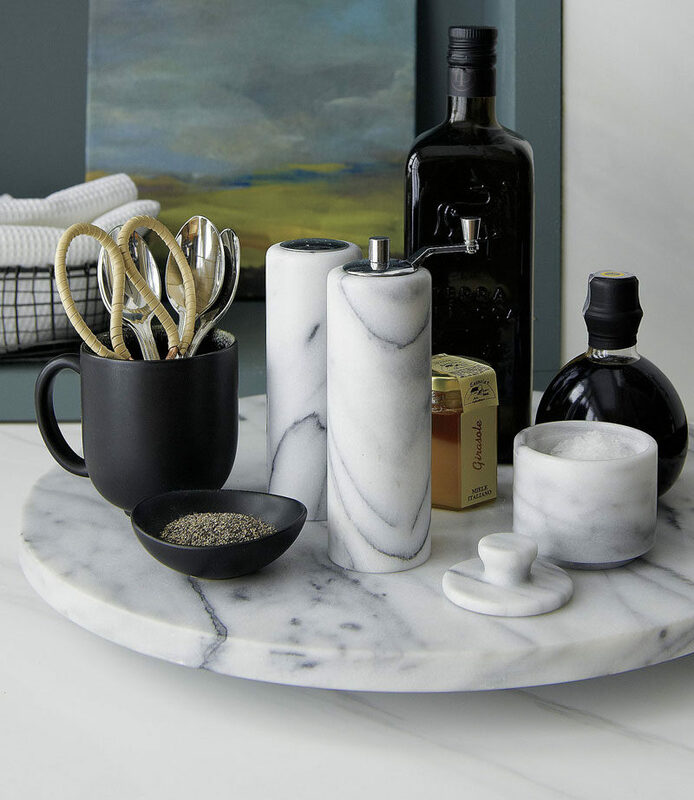 Serve your hors d’oeuvres off of marble serving trays to get both an arm work out and compliments on your stylish serveware. 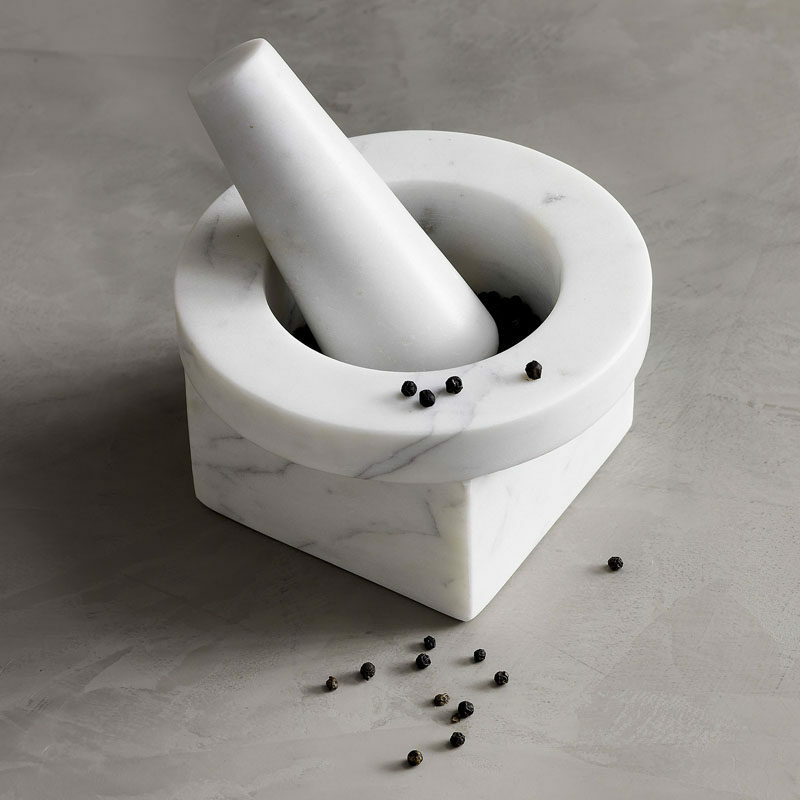 Grind up your herbs and spice mixes using a mortar and pestle made from marble to add a little luxury to your muddle. 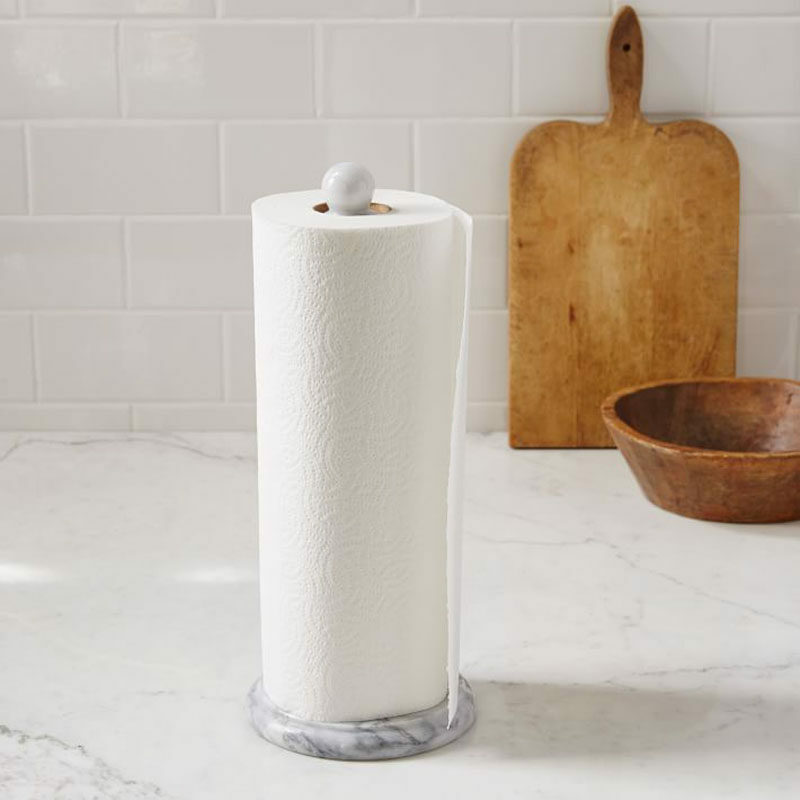 Keep your paper towel rolls feeling like royalty by keeping them on a marble holder. 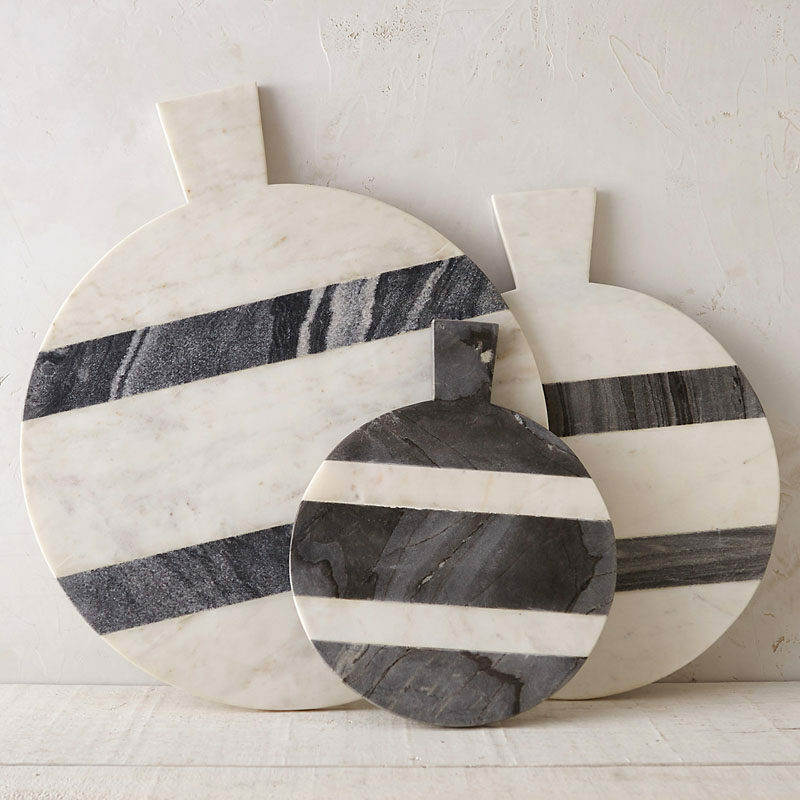 Put your salt and pepper into marble shakers and keep them on a lazy suzan or tray to create the ultimate marble kitchen table centerpiece.